Annie, an amazing, transparent, self-aware reflection on life-events so very recent. Not only you but soon to be with us “Cole” is being blessed by your insights! I used to get mad at Eric for doing this! Yeah, he would go to work sick and suffering all day and then come home to lay in bed and sleep all day! I couldn’t understand why a sick day wasn’t allowed in his workplace. It’s insane! I actually can’t remember that he ever called in sick for the ER. Ever. Still annoys the heck out of me because as the spouse, you basically have to pick up the slack at home and then put him back together so he can go work himself to death again. 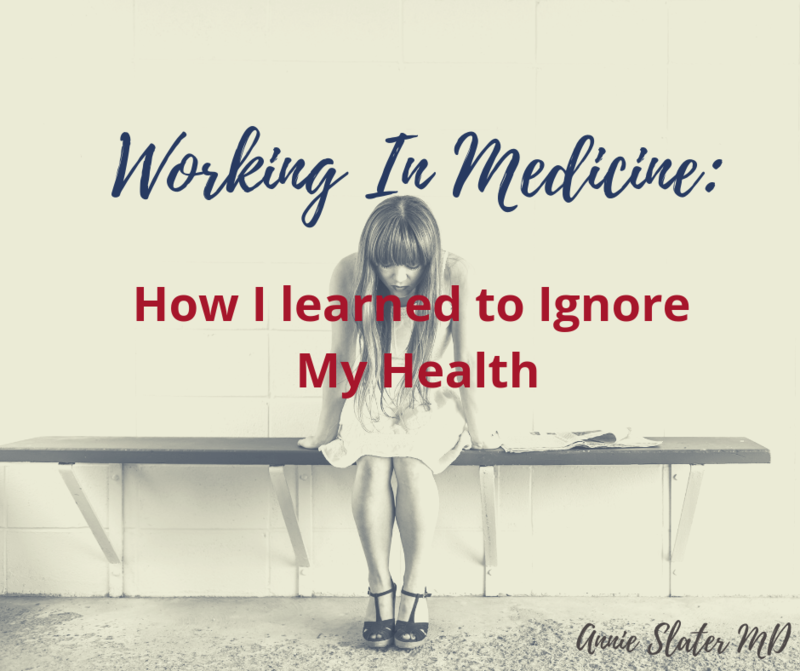 Thanks Sandy–I think what has always been so interesting for those of us IN medicine is to hear what those OUTSIDE of medicine have to say!! This is one of those instances where it feels totally normal to not take care of ourselves, but to the outside world is kind of nutty. You are not alone is YOUR struggle, as my husband would probably echo a lot of your sentiment!! Awesome post, Annie! So proud of you for accepting the reality and sharing it with all of us. I know so many mama docs can relate, and still so many non-mama, non-docs cannot or will not. In my mind it often comes down to empathy and honestly shared humanity. Simon Sinek writes eloquently about what happens when we make people into abstractions—a place holder, just a body to do the work—rather than real, live humans with needs that change on a dime for reasons beyond any of our control. If we only trusted one another to just pitch in and help out when needed, and not take advantage of each other’s generosity, we’d all be so much better off. It’s more complicated than that, of course. Medical Professionals aren’t allowed to care for themselves…when do we get a real break at work for a sit down, calm meal? never….unless there aren’t any kids to see. It’s not right; yet it continues partially because we let it continue. But if we tell the colleague down the hall that one is taking 30″ to eat in the break room—bets you get eyes rolled because the person who is left–has to watch over their patients and now yours. It’s a very unhealthy work environment, in a place where we are trying to restore health.